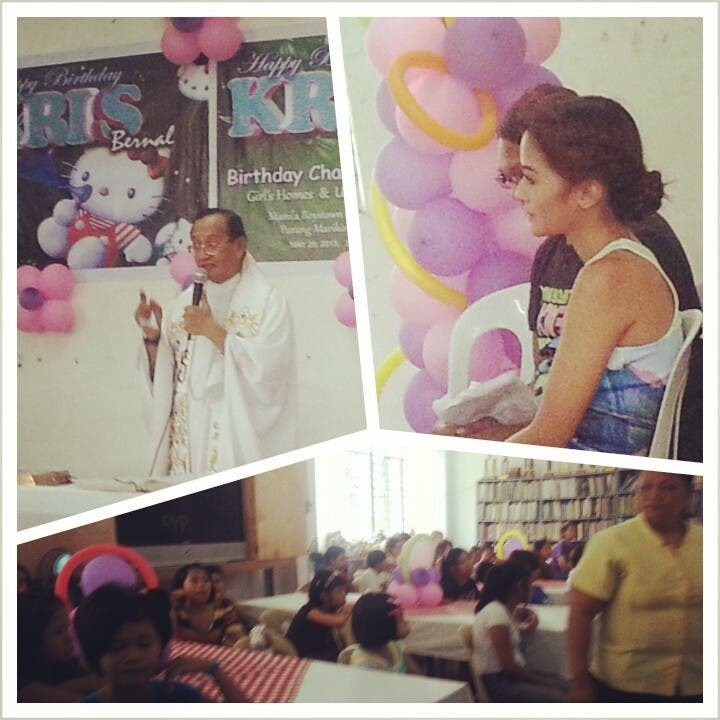 Kapuso star Kris Bernal just turned 24 last May 17 and she chose to celebrate it by giving back to the kids of the Girls’ Home Unit of the Manila Boys Town in Marikina City on Monday, May 20, 2013. Kris’ birthday celebration started at 2:00PM with a thanksgiving mass which was attended by her relatives, friends, fans, some members of the press and bloggers and the girls from the foundation. After the mass, some kids from Girls’ Home offered the Kapuso actress some song and dance numbers. It was followed by parlor games where Kris played along with the kids and she also joined them at the photo booth where she had her photos taken with them. Kris also signed autographs for them and gave each one of them gifts from her sponsors. It has been Kris’ tradition to give back to the needy everytime she celebrates her birthday and even in times when she’s not busy from work. “Every year nag-cecelebrate ako ng birthday either with family or friends, last year my GMA Artist Center family gave me a wonderful party with friends and workmates at 7th High, now they have orgranized something closer to my heart,” she said. Saying that she’s happy on her 24th birthday is an understatement as Kris felt deeper joy whenever she make an abandoned, neglected and orphaned kid smile. “Masaya, nakakapagod pero kapag nakita mo na sa kanila yung excitement, yung tuwa, pati na rin ‘pag nakayakap na sila sa’ yo ng mahigpit parang pakiramdam ko ang laki-laki na kaagad ng nagawa mo para sa kanila. Talagang nakakawala ng pagod,” she shared. 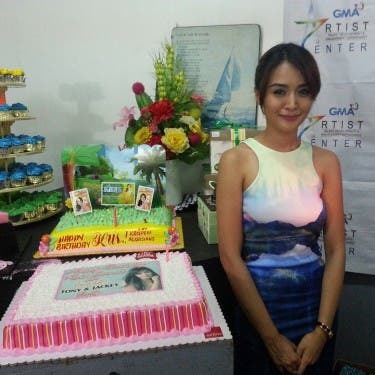 On her 24th birthday, Kris also gave her birthday wish for her family, friends and the needy. “Sabi ko nga para sa birthday wish ko, di na siguro para sa akin ‘yung wish na ‘yun. Siguro ‘yung birthday wish ko, sana ‘yung dreams ‘yung mga wishes ‘nung mga taong nagmamahal sa akin, family ko mga fans ko, o kaya sa mga taong mas nangangailangan, sa kanila ko na lang ibibigay ‘yung mga wish ko kung ano man ‘yun. Kris Bernal’s Birthday charity event was made possible by GMA Artist Center with the help of her sponsors from Zanea, Sundance, Poshnails, Tony & Jackey, Fernando’s Bakeshop, My Dentist and Vans. Kris ACLC family was generous enough to give full scholarships to 2 chosen girls in the institution. i applaud kris for spending her time with the needy during her 24th birthday.after all you only get indulgence if you do a thing like that. may you have more to come kris.i am waiting for your next t v series. We are anticipating for Prinsesa ng Masa, kelan po ba palabas nun?